Cellular callings plans aren’t getting any cheaper. With that in mind, it’s important to not overpay by using a plan that has more minutes than you need. Sure, you can get information from the carriers, but that’s not always convenient. 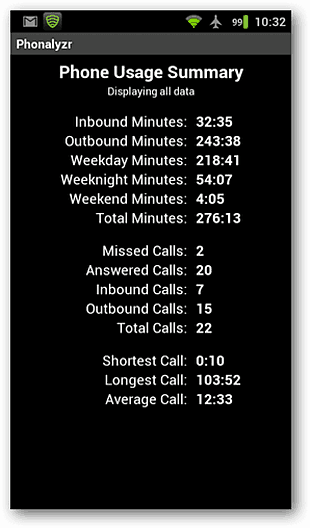 Phonalyzr is a free app for Android smartphones that provides detailed information about your phone calls. 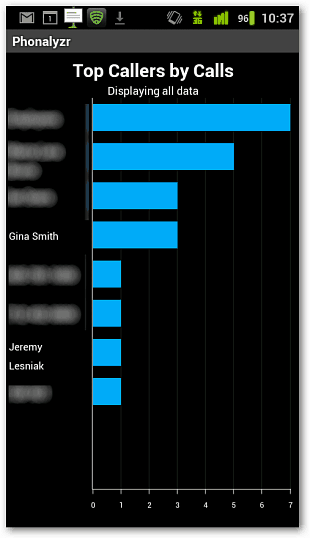 The app also presents information on your top callers, missed vs regular calls and more. It will help you better understand your phone habits. For many users, this translates to cost savings. 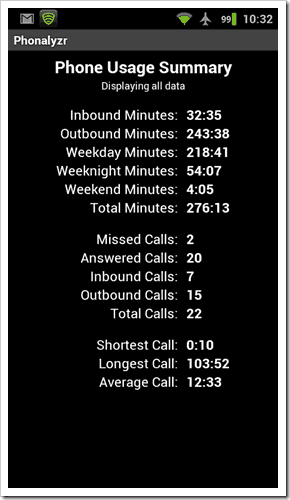 Download Phonalyzr from the Android Market.